Former world 500 champion Alex Criville is retiring from racing. 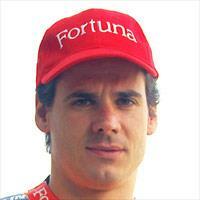 Criville, who became Spain’s first world 500 champion in 1999, was expected to hold a press conference during the second day of the first IRTA test in Valencia to confirm he is quitting. No reason has yet been given, but the 31-year-old didn’t ride the Repsol-backed Yamaha YZR500 in Friday’s opening session. Criville, who won 15 500 GPs and was also a world 125 champion, was looking to rebuild his career in the Spanish D’Antin squad alongside Norick Abe after enduring a torrid time at Honda since winning his world title three years ago. What happens to the team now is uncertain, but with Criville having funded the squad with the Repsol sponsorship, doubts must exist as to whether the Spanish fuel company will want to continue with Criville gone. MotoGP: Pedrosa set to announce retirement?